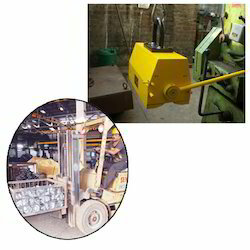 Manufacturer & Exporter of Lifting Magnet for Material Handling Industry. Our product range also comprises of Lifting Magnet, Magnetic Pulley and Magnetic Drums. Width: 6", 8", 10", 12"
Long special magnets: Up to 60"
Looking for Lifting Magnet for Material Handling Industry ?